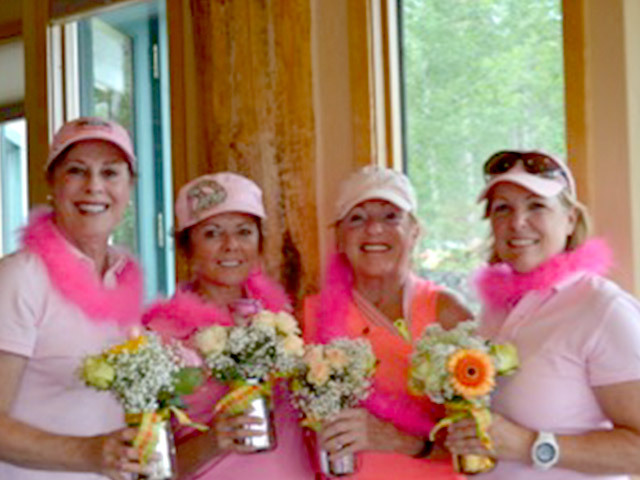 Eagle Bend Ladies Golf Association (EBLGA) was established well over 20 years ago to provide women members of Eagle Bend Golf Club (EBGC), as well as women of the community, with an organized women’s golf group. Today the membership numbers about 120 with about 60 active members. EBLGA women are a diverse group coming from New Jersey to California. Many have worked at interesting careers, raised families and contributed to their communities. We invite you to join us by picking up a membership packet in the Pro Shop and please visit our Website: eblga.com or contact us at eblga@gmail.com. When you join our group, you will be assigned a “big sister” mentor to make sure you get acquainted with everyone. Lady golfers can choose to participate in an 18-hole group for organized golf every Tuesday morning simply by signing up by Sunday. A very informal 9-hole group plays on Thursday mornings. There are also many opportunities to join friends on other days of the week, and a group of ladies get together on Thursdays and travel to a different area golf club each week for a day of golf and fun. In addition to regular weekly golf, EBLGA hosts a Member-Member tournament in June and the President’s Cup in August. EBGC hosts the Member-Guest Tournament and Club Championship in August. EBLGA is not just about golf. The Welcome back social and Pro Shop apparel sale kicks off the year in June. New members are invited to play a round of golf and join their Big sisters and the EBLGA Board for a party afterward. Members meet monthly for lunch and a general meeting after golf, and finally, the “After Party” for the President’s Cup and Awards Party at the end of the season round out the year. The love of golf and the pleasure of being part of a group of interesting women are the reason we belong, but the event of which we are most proud is the philanthropic “Swing Fore A Sister” event held in July. It is a day for pink outfits, a fun scramble event and most importantly providing care for Flathead Valley women facing cancer. EBLGA is proud to contribute well over $15,000 each year to Kalispell Regional Hospital programs. 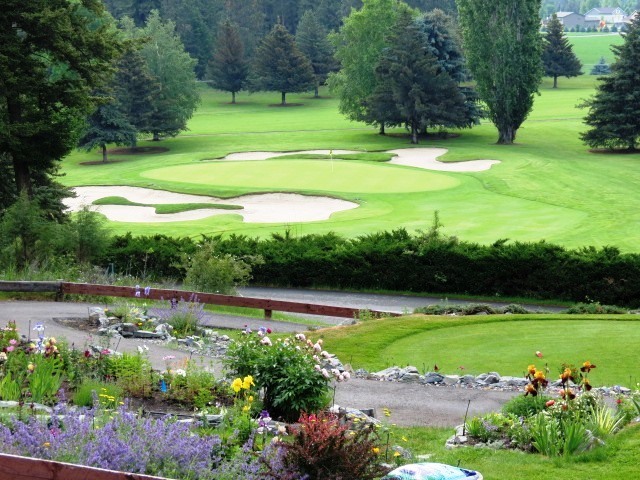 EBLGA also coordinates volunteers and a dedicated Garden Manager who all work to plant flowers and maintain the signature #6 golf hole, creating a beautiful area enjoyed by all who play the Eagle Bend Golf Course.